Tesla announced their new Tesla Model 3 electric vehicle at a press event yesterday, we heard about the car earlier and now you can watch the event on a video released by Tesla. In the video below we get to see Tesla CEO Elon Musk announce their new Model 3, the car is launching next year and it is their most affordable car to date. 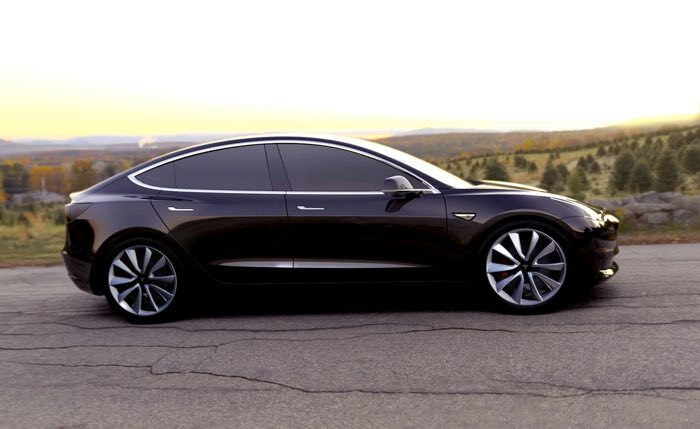 The Tesla Model 3 will have a retail price of $35,000 and this should be reduced to $27,500 after federal rebates. The new electric vehicle will have a range of around 215 miles and a 0 to 60 miles per hour time of under 6 seconds. The company revealed at their press event that they received a massive 115,000 pre-orders for their new electric vehicle in the first 24 hours, it will go on sale in late 2017.